One of the most important parts of your home or business premises. A leaking or insecure roof can lead to long-term problems such as rotten timbers or other structural damage. Many homeowners make the mistake of spending time and money on internal refurbishment while neglecting the basic fabric of the building. A sound roof is fundamental to protecting your property and maintaining its value. Most properties need some on-going maintenance. If you have concerns about your roof we will take a look and assess what needs doing. If minor repairs are needed we will advise you accordingly. If more extensive work is needed we will give you a detailed breakdown. We can also advise you about which work needs doing urgently and what can be delayed to spread the cost. We have come across a number of 'quick fixes' that are sometimes proposed by builders, such as a 'cement wash' over your roof or ‘buttering up’ of ridge tiles. Also with roof cleaning some companies are jet washing roofs to clean them. We would strongly advise you to treat these with caution and seek professional advice - you can talk to us or consult a surveyor or architect. They will tell you that roofing work is best undertaken by a specialist rather than a general builder. We provide a call out service to deal with storm damage or other emergencies. We will put temporary measures in place to protect your property. We can then do a more detailed assessment, to help you with any insurance claims and get your roof fixed. A call out charge is payable, but we will not seek to make things worse for you by hitting you with unreasonable charges. Making your roof sound should be your first priority - please call us as soon as possible. We would advise you to check your insurance policy, as it may not cover all costs. Many roofs can be kept going almost indefinitely with on-going maintenance. However there comes a time when you need to consider a replacement. There will usually be an undesirable level of dampness within the roof space, which can lead to problems with timbers and rot. There is also the risk that a severe storm may expose any weaknesses overnight and leave you with a major leak to deal with. The North West has its fair share of storms! A new roof is a major investment, but will add value to your property and save you money in the longer term. It makes sense to sort out your roof before spending large amounts of money on internal refurbishment. Most mortgage lenders will be sympathetic to releasing funds for this type of work, as you are protecting the value of your investment. We can usually help you to spread the cost by replacing roof elevations one at a time, though this may cost slightly more and involve additional inconvenience. We prefer to replicate original details especially on period properties and our approach is to maintain the aesthetic qualities of a roof combined with using high specification materials. Whichever roof covering the client requires, we will be able to advise the best products for your property. We will provide you with a detailed assessment and let you consider all the options before committing to the work. If you are involved in a new build, self-build or conversion project we can help. If you are in the early stages but you already have a building contractor we can provide you with a quotation for the roof covering, based on your architect's plans. We can also provide expert advice on the options for materials and construction methods. If you are doing some of the construction work yourself, we can work with you on the specialist work required for the roof covering. If you are already working with a general building contractor, we will work with them and take care of the roofing aspects of the project. Slating - we are highly experienced in the refurbishment and maintenance of slate roofs. Having a keen understanding of natural slate and best practice for slate installation we specialise in slate work. For a more traditional look, natural slate can be used on your roof. Reclaimed slate can be use to blend seamlessly on period properties. If the original roof slates are in good condition, but slipping because of nail fatigue, we can salvage all good quality slates, making up numbers with similar slates. This is a good alternative, especially if the property is a listed building. Our skills in slating, combined with leadworking skills, make our roofs aesthetically pleasing and also very resistant to all weather conditions. Tiling - we are highly experienced in this area and can take on any size and kind of tiling job. We fit all types of new tiles, from small handmade clay tiles to new concrete interlocking tiles, Re-roofs and New-builds, working from Architects plans. Flat to pitch conversions - we are highly experienced in converting flat roofs to pitched roofs. This type of work can radically change the appearance of a property and in most cases add value. Flat roofs - we will take on certain flat roofing projects, call us for more details. Leadwork - Properly made and fixed leadwork can last for up to 100 years or more. Our leadwork ranges from complete roofs, to lead valley gutters, dormer windows and step flashings. Chimney Stacks & Parapet Walls - We are skilled in the removal, rebuilding and restoration of chimneystacks and parapet walls, also re-pointing, rendering, chimney capping or chimney pot replacement. Guttering - We fit and repair all types of guttering from traditional to UPVC. Roof Structure Installation, Repairs & Fascias - Prefabricated trusses, Rafters, purlings, wall plates and valley boards, etc. We also fit fascias and soffits in wood or UPVC and UPVC cladding. Roof Windows - We fit all types of roof windows, finding Velux to be the best. Fascia board, soffitt and bargeboard. We will carry out certain New Build Projects, Basement and Loft Conversions, Extensions plus most general Building and Joinery work. 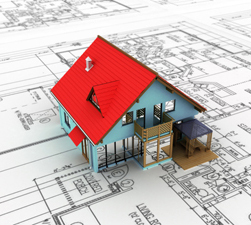 If you are involved in a new build, self-build or conversion project we can help. If you are in the early stages we can manage the whole project for you, provide you with a quotation for all of the building and service work, based on your architect's plans. For Gas, Electrical and Plumbing work we only use reputable, qualified sub contractors who we have worked with before. We can also provide expert advice on the options for materials and construction methods. If you are doing some of the construction work yourself, we can work with you on the specialist work required for the project. If you are working with service contractors not employed by HQ, we will work with them and take care of the building aspects of the project.